Completed in 2010 the Springbrook Trail with accompanying 1,800 foot boardwalk is a site to behold. The trail winds through 4 park areas and a wilderness area – all within city limits. It is just over 2 miles and plans are already in place to expand the trail as funding is available. A walk on the wood chipped loop in the northern natural area almost guarantees seeing deer and other wildlife. The section from the 4th Avenue Dam to Second Avenue is landscaped with various trees and plantings. This section is also lit with low level light pedestals for evening walks or early morning runs. Enjoy the 10 foot wide boardwalk which was completed in the winter of 2010. The decking is composite and the railings are treated lumber. The trail is just over 2 miles if you chose to walk all the sections. Bikes, roller-blades and walkers are all welcome. Remember to be a courteous trail user- keep pets on a leash and pick-up pet waste. Bike or walk on the right when the trail is busy or you are coming to a blind corner. Signal to those you are passing and most of all enjoy the beauty of the Springbrook Trail. 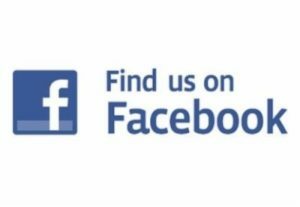 Check our website often for updates or “Like Us” on Facebook to stay connected to news and information regarding Parks & Recreation for the City of Antigo.